The teenager found all her clothes dumped in front of her home when she returned from church on Sabbath. Her father, a Sunday church pastor, had cleaned out her room and locked the door. This was not the first time that Otilia Antonio Passiiel had found herself locked out of her home in Nampula, Mozambique’s third-largest city with a population of about half a million. Otilia had joined the Seventh-day Adventist Church while living with an older sister south of the city in the Zambezia province. Adventist classmates had shared the Bible truth about the seventh-day Sabbath with Otilia, and she had gotten baptized. When her parents, both pastors, found out, they were furious and forbade her from leaving their church. When her sister saw the unfolding conflict, she told Otilia to return to her parents in Nampula. Some Sabbaths, Father collected all her clothes and threw them out of the house and locked the door while she was at church. She had to wait until Father fell asleep at night for a younger sister to open the door. On other Sabbaths, Father announced, “You can’t go to church,” and locked her in the house. Otilia worshipped in church on the Sabbaths when Father went to work. Most often, fireworks waited for her when she returned home. Father slapped her, punched her, and beat her on the arms, head, and back. Otilia never spoke back. Instead she remembered Jesus’ prayer as He was being crucified, “Father, forgive them, for they do not know what they do” Luke 23:34, NKJV). The beatings resumed on Sunday morning. Father told Otilia to get dressed and go with him to church. When she refused, he beat her again. Father stopped paying Otilia’s school fees and buying her clothes. 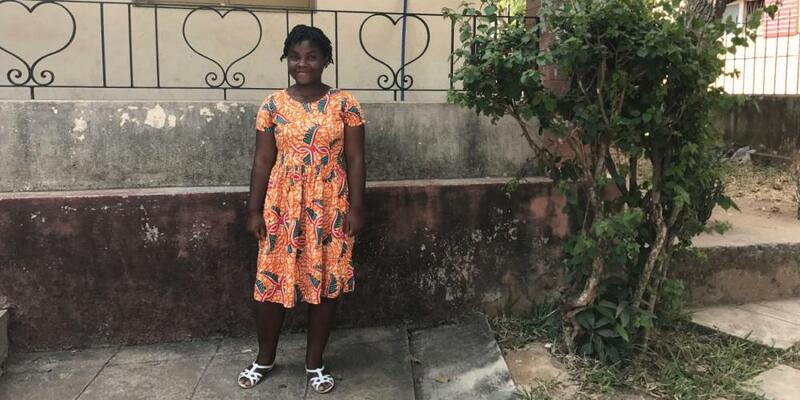 She managed to get through 12th grade with a stipend from a nongovernmental organization that encourages Mozambique girls to stay in school. Otilia reached a point where she was ready to stay at home on Sabbath. But church members encouraged her and prayed for her. The support encouraged Otilia, and she kept worshipping on Sabbath. Father finally stopped beating Otilia when she graduated from high school in 2017. He disowned her, but he allows her to stay at home. Otilia is praying for her parents and especially her father. Part of the fourth quarter 2018 Thirteenth Sabbath Offering will provide a home to children who lost parents to HIV/AIDS in Otilia’s hometown, Nampula. Thank you for supporting projects such as this orphanage with your mission offerings. Trusting God No Matter What A girl learns about God and prayer at a mission school in Thailand. January 13 - Dream Big For more than 50 years now, the Adventist University of the Antilles family dreams to build a church as a place of worship and missionary training facility.